I don't know what's with Hello Kitty that she appeals a lot to young girls and even teenagers. Actually, even moms like me still like anything with Hello Kitty. I used to have many Hello Kitty stuffs as well and I always dreamed of having my very own Hello Kitty bedroom. Well, I think this is something that many girls want even up to the present generation. My little girl, Bella, loves anything Hello Kitty as well. There is just something about this girly cat that makes everyone fall in love with her. 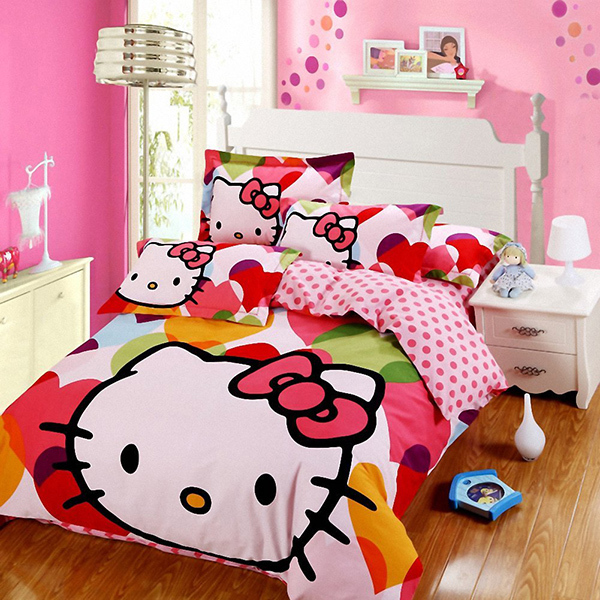 So, if you are looking for Hello Kitty bedroom designs to use as inspiration for your child's bedroom, we have collated some for you. Aside from that, we also added some links where you could purchase some HK items that you can use for the bedroom. Here are some bedroom design inspirations with a Hello Kitty theme that is perfect for little girls, a nursery or even for a teenage girl's bedroom. Adorable, right? These are very lovely indeed! And it is nice that you can get so many lovely Hello Kitty items that you can put together for a bedroom. Did you like this list? Share it to your friends so they can get ideas too! You can also check out other Little Luxuries round-ups I made before. These are items that could be considered a treasure by our children. 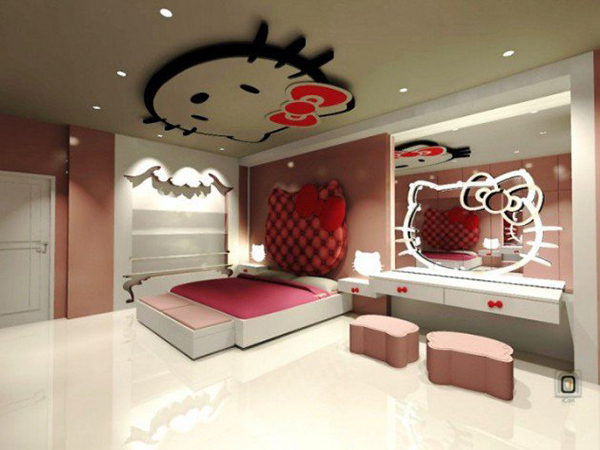 My daughter would absolutely love a Hello Kitty themed room. However, at this point, I could not go all out on a fully-decked room yet because we are still living in a cramped 2-bedroom apartment. Maybe when our house is finally finished then I can start decorating my daughter's own room. Even then, I think she would still prefer to co-sleep with me since she is pretty much used to this set-up. 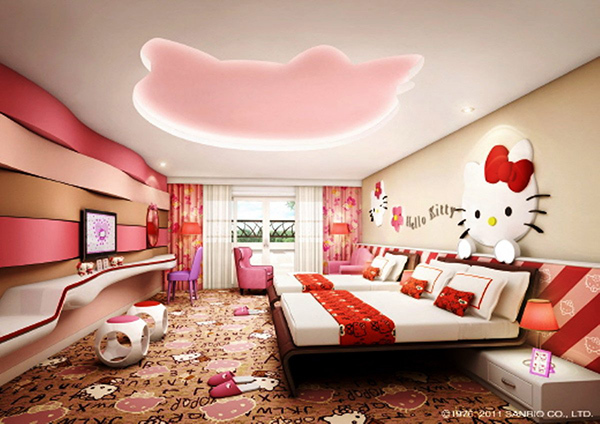 The rooms you featured are really cute and perfect for little girls and teens and even adults who love Hello Kitty. This is so cuteeeee! Wish I had a room like this when I was younger hehe. I was always a big fan of hello kitty hehe. Omygoodness! Every bedroom looks amazing for me. Even if I like cats and too girly,I never dreamt to have hello kitty bedroom or hello kitty around me. Though, I find it very cute. funny that i've never really liked hello kitty growing up. it's always more of Disney for me. Mickey, Chipmunks and Stitch! But that dresser with the kitty head mounted mirror in the first photo is too cute! WOW! Hello Kitty is so out there! I see many girls who have HK everything. These bedrooms are nicely decorated and I think some girls will love it. I like the bed covers but would not make my whole room like that but for a fan I can totally see the appeal. I know, I wonder what's with hello kitty. I loved it as a kid and even up to know. 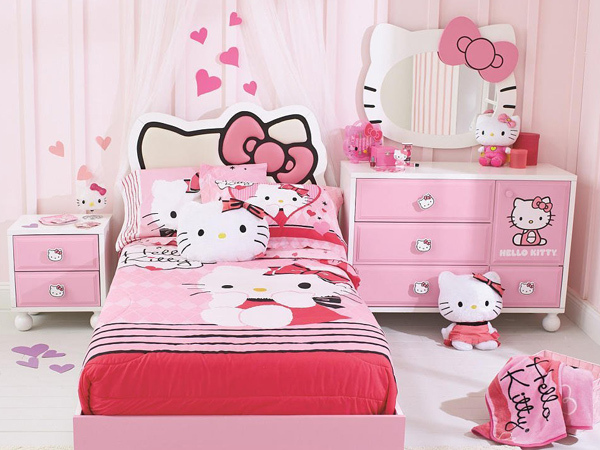 I dreamed of having a similar Hello Kitty themed bedroom when I was a child. I'm no fan of pink but I love Hello Kitty. I wish I have a daughter too, hopefully my next child, if God will bless us, would be a girl. Designing a bedroom is always fun for me. I hope I can do this for my son too. Great list by the way. Will show this to my niece!